This week, I was listening to The Bert Show on Q100 and they did a segment on tips for choosing a bridesmaid. I thought this would be a good topic for a blog. So, if you want to read more on their coverage of the topic, please go to their website www.thebertshow.com. When you ask your friend/family member to be a bridesmaid, you can usually tell what kind of bridesmaid they will be by their initial response. For example: the best response might be “I would love to, just let me know how I can help.” The more inappropriate response would be “Yes, what do I have to do.” This may be showing you that the person you are asking does not want to have a lot of responsibilities with regards to your wedding/event and may not be as invested as you would like. Does the behavior of your friend tend to be one that cancels on events or work a lot or at the last minute – this may be telling you that you may not be able to rely on them as much as you would like. Does your friend have a short attention span or tend to be combative in nature? This may be a red flag for problems down the road which will only frustrate you. Does your friend like your fiancé? If they are not in favor of your wedding or your chosen partner, I would suggest they not be an intricate part of your wedding. This could lead to confrontation that you don’t need during a stressful time. Is your friend an attention seeking individual (do they need to be the center of attention) or do they stir up trouble? If either of these are true, you may want to think twice about having them involved. This is your day and you are the center of attention during this time – and drama is the last thing you need! If your friend or family member is pregnant, you may want to think twice. They may not feel very attractive at this time, may have less energy than they used to and may not be able to stand for the entire ceremony. This is one that you should talk about with your friend and just know that accommodations may need to be made if the friend cannot make it due to unforeseen complications or other difficulties. Is your friend always saying they are busy but all you see are fun pictures or beach pictures on FB? Beware of the friend who has a hard time committing to something when they find themselves torn between that commitment or something they feel is more fun. You will most always lose that battle. Does your friend use text or FB too much? Do you find yourself having to wait while they text or talk to someone else? If so, you may not be a high priority in their eyes or during that time and this can lead to frustration. Finally, is your friend negative or picky? Do they have strong opinions? This may be something that you do not want to deal with during this time in your life. You want to find people that are truly happy for you, want to be of assistance and are easy to get along with. I have heard too many times where friendships have been put to the test or actually dissolved during the planning stages of a wedding. 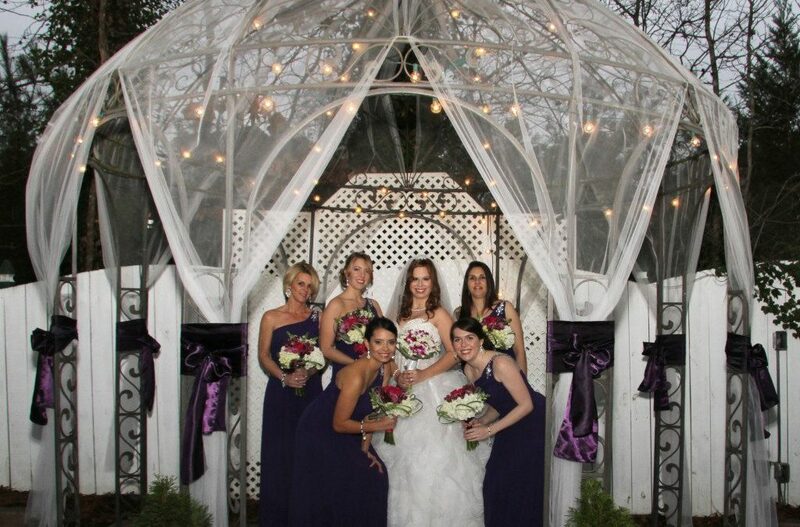 The bride tends to have high expectations and the bridesmaids don’t have enough commitment to the event. Make sure you know your friends/family well, know their assets and flaws, and be prepared to deal with those positives and negatives. You will not change a person. Congratulations on your engagement and Gala Event Facility wishes you the best of luck, love and happiness! !